Experience the 3rd Annual Benefit Dinner Concert at Barone’s in Pleasanton. 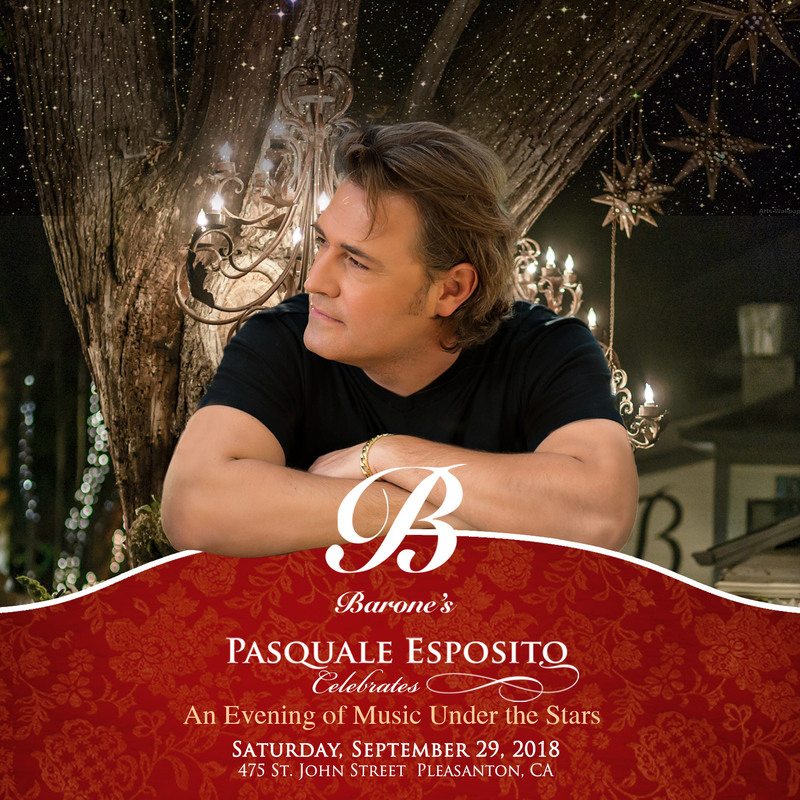 Audiences will enjoy award winning continental cuisine coupled with an intimate performance of Pasquale and his eclectic band following the dinner service. The majestic outdoor theater at Barone’s creates a romantic atmosphere under the stars. A portion of the tickets will benefit Notable Music and Arts Organization, a non-profit, promoting music education.